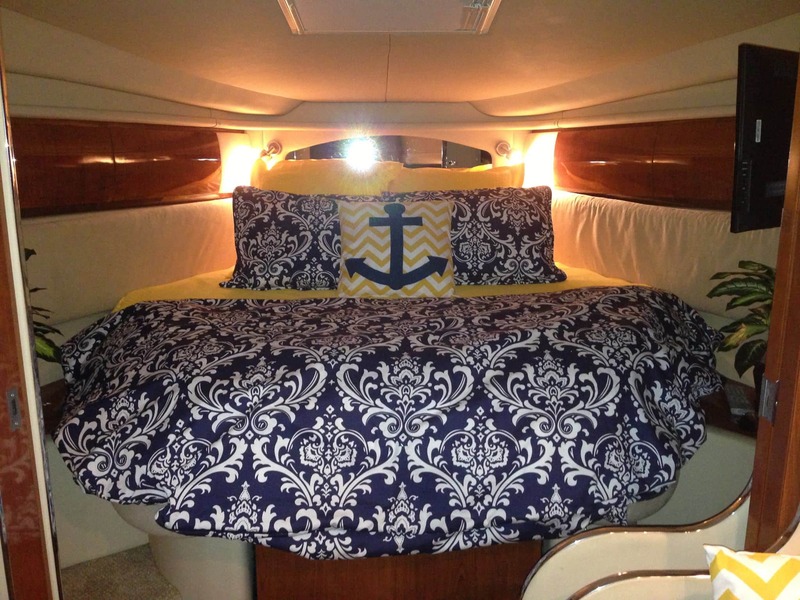 We all know that custom boat bedding adds a big punch to your boat. Not only does it add a personal touch, but it also looks much neater and makes making the bed much easier. 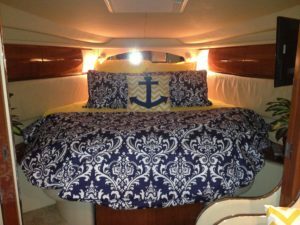 This client kept classic colors in their Sear Ray 340 Sundancer but added in a fun print. A custom duvet cover is extremely comfortable and practical. A down alternative duvet keeps away the possibility of mold and mildew. Give us a call to see how we can help create the perfect stateroom for your boat!